Þyrvé and Ingigerðr and Þjalfi, they had this stone erected in memory of Kalfr, Þyrvé's husbandman. May God and God's mother help his spirit. 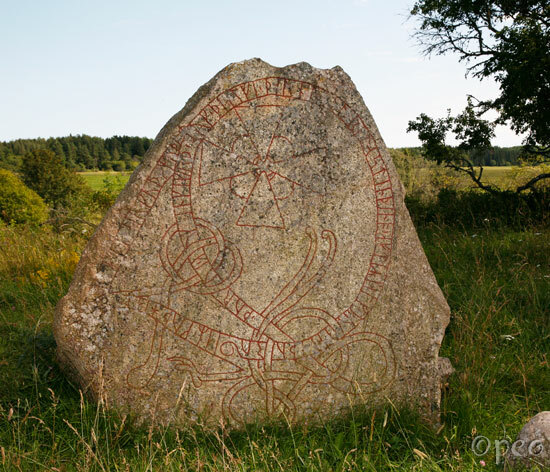 A beautiful rune stone in perfect shape !